Tejes Law, PLLC – Orlando Based Bankruptcy and Debt Defense Law Firm – Guiding you to a new beginning. Our fee structure is transparent and competitive. We offer payment plans, convenient payment options, along with discounts for service members and seniors. We offer a no hassle free consultation which can be in person at our Downtown Orlando office or via telephone from the comfort of your home. As a firm, we stand by our clients and provide relief in stressful situations. We understand that bad things happen to good people and that is why we will fight for you. Tejes Law is a Florida law firm serving clients in Central Florida. We focus on providing excellent customer service to our clients and practice primarily in chapter 7 bankruptcies, chapter 13 bankruptcies, probate, debt defense, civil litigation, and estates and trusts. We understand that legal problems can provide some of the hardest times that a person can face. Our knowledgeable and compassionate team would love to assist you in finding a solution to your legal issue whether you are looking to resolve a loved one's estate through a probate or if you are buried under a mountain of debt. Josh Tejes has practiced in the areas of civil litigation and bankruptcy since 2008, representing both consumers and creditors in hundreds of bankruptcies and civil lawsuits ranging from small claims lawsuits to multi-million dollar estates. Tejes Law serves clients in Brevard County, Orange County, Osceola County, Lake County, Polk County, Seminole County, and Volusia County. What will happen to my credit score? It depends. Short term, a bankruptcy filing will hurt a filer’s credit score. However, the bankruptcy discharge will force the discharged creditors to stop negatively reporting to the credit bureaus which will allow positive trade lines on the credit report to improve the credit score. When can I make my creditors stop harassing me? Creditors are required to stop all collections activity as soon as the case is filed. 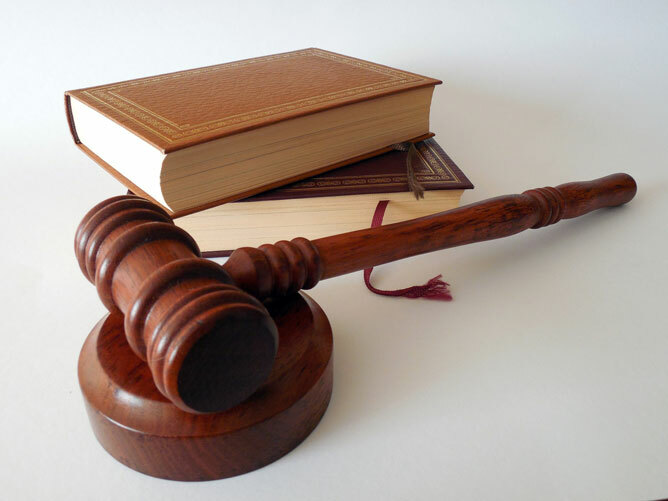 The bankruptcy discharge is an injunction issued by the bankruptcy court that forbids creditors from taking any act to collect on the discharged debt. The injunction allows the debtor to seek damages from the bankruptcy court for any violation of its order which is what gives the bankruptcy court power. Is my spouse required to file bankruptcy with me? No, nothing in the bankruptcy code requires both spouses to file together. This is helpful for couples that have separate debt or when one spouse has an excellent credit score. Josh was a great help to me during this difficult financial situation. When we got to court, he was the most professional attorney in the room! He always answers your calls and any questions I had! I would highly recommend his law firm to anyone in need. Great lawyer. Very knowledgeable and personable. Would recommend. This website has been prepared by Tejes Law, PLLC for informational purposes only and does not constitute legal advice. The information is not provided in the course of an attorney-client relationship and is not intended to substitute for legal advice from an attorney licensed in your jurisdiction.